So back from the sun and to the reality of the cold!!! It is not all bad. 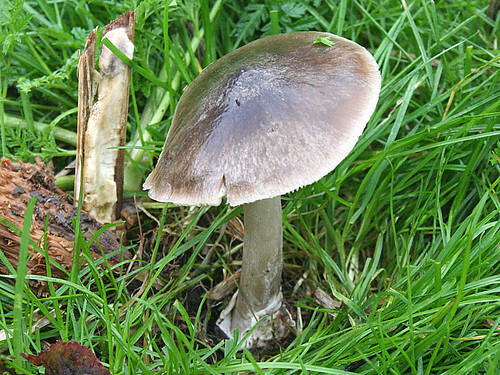 Saturday saw a good selection of fungi on offer at Tophill Low NR, East Yorkshire during the weekly tour of the site Doug Fairweather and myself undertake. 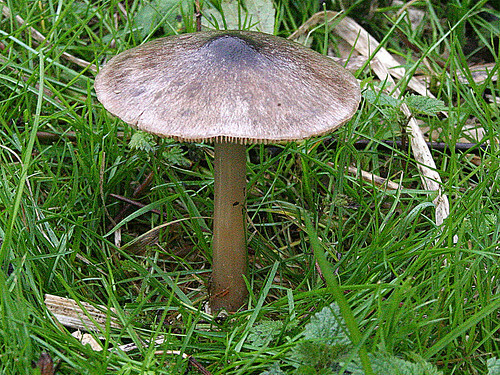 It would appear I’ve missed the best period for Shaggy Ink Cap Coprinus comatus, though a few poor specimens were on show. 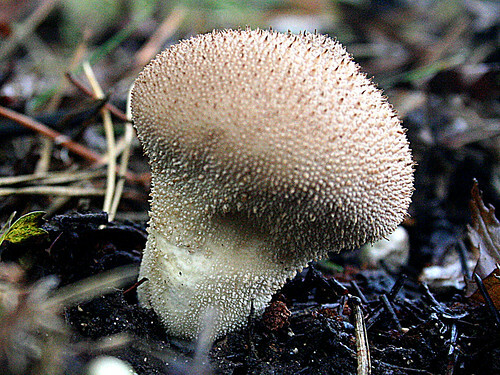 However, Velvet Shank Flammulina velutipes was noted in areas, a couple of Stubble Rosegill Volvariella gloiocephala provided interest as did a small number of Common Puffball Lycoperdon perlatum. 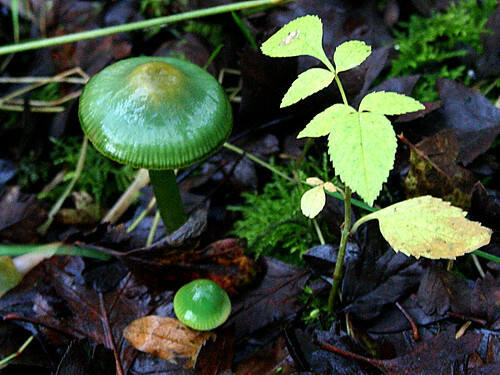 Parrot Waxcap Hygrocybe psittacina was typical for the time of year and a few Snowy Waxcap H. virginea were found. 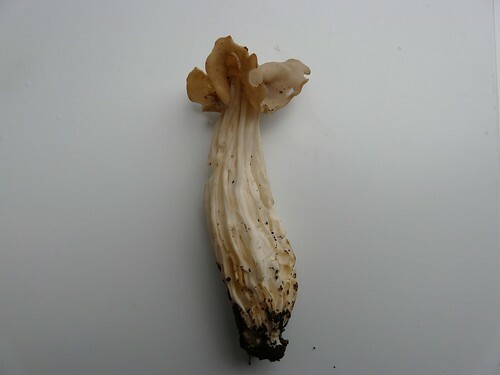 The most recent addition to the list was White Saddle Helvella crispa found last weekend by Doug. Despite almost going over, several past their best specimens were found. With cold weather putting pay to the moth trapping and the chance of any late Odonata, the latest tour of the new Hempholme Meadow was undertaken. However, despite numerous cowpats found no new invertebrate species were added. 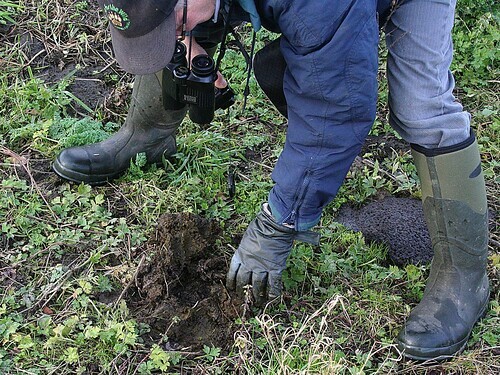 The methodology for this survey involves a glove and a cowpat… Mr Fairweather demonstrating the technique below. The tour of the meadow did turn up a Jack Snipe Lymnocryptes minimus and a single Snipe Gallinago gallinago. Plenty of Redwings Turdus iliacus and Fieldfare T. pilaris could be found around the site as they continue to move through, while two Pink-footed Geese Anser brachyrhynchus, an immature male Marsh Harrier Circus aeruginosus and a male Peregrine Falco peregrinus provide the avian highlights at the southern end of the site. Late-afternoon saw the regular gull-roosting vigil. However, little came in until almost last light on Saturday so nothing was found. Sunday evening proved a little more fruitful with a 1st winter Mediterranean Gull Larus melanocephalus the highlight.